According to a web credibility study conducted by Stanford University, 75% of people judge a company’s worth and abilities based on the design of its website alone. That’s just a little bit of pressure for your web designers. A lot of factors enter into the judgment—mobile optimization, authenticity of tone and engaging images for a start—but whatever the criteria, it’s a fact of our digital life that a website can make or break a business. So, how do you know when—or if—you should consider a new design for your website? And when you do make the decision, do you stick with traditional web design or opt for the more modern growth-driven design? One gauge for your website re-design is the familiar idiom—if it ain’t broke, don’t fix it. If you started out with a traditional design and you’re still pulling in 10,000 monthly visitors and your marketing assets are delivering, more power to you. 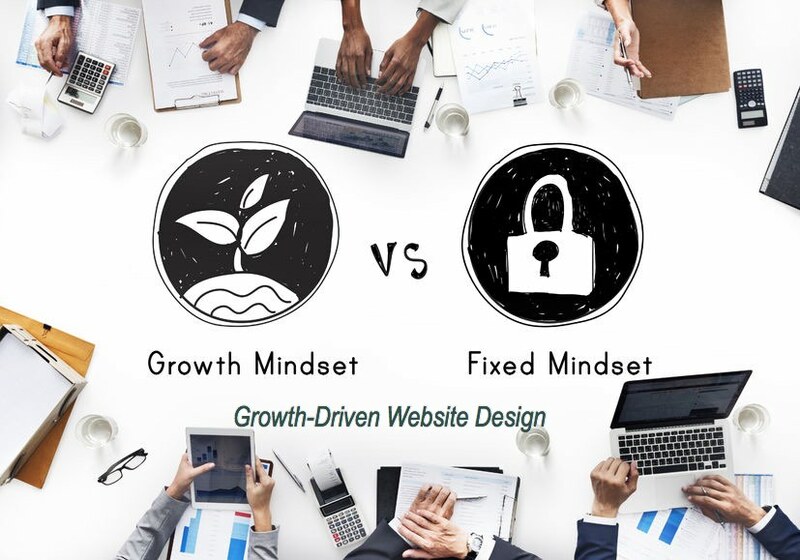 But for those who may be thinking that they could be doing better, there are a few guidelines to help determine if the traditional path is best for you or whether you would benefit from a new approach to web design called "Growth-Driven Design." Traditional is familiar. We’re all comfortable with it. We know what to expect in a traditional website design—the navigation, the copy blocks, the “above the fold” rule for user experience. We also come to expect a strong brand strategy to be visible in traditional website design. That could account for the reason some companies don’t alter their sites—they have what they consider to be a strong brand presence in place and—you guessed it—if it ain’t broke, don’t fix it. Another benefit of traditional design is that web designers know what to do with it. There’s a pretty standard formula for project expectation including content development, timelines, deliverables, etc. It’s how web design all started and everyone has a baseline recognition of it. Conversely, it is just these familiarities of traditional website design that also provide its major drawbacks. Traditional website design typically means a commitment to a major overhaul involving significant budget and time investments. Plus, creating a traditional website, either new or overhaul, is probably based on outdated buyer’s journey assumptions which will result in ineffective engagement with your ideal buyer and much lower conversion rates from visitors into leads. But possibly most significant in the list of drawbacks is that traditional web design is not based on marketing analytics and data and will not work as effectively as the business hopes and will quickly begin the slippery slope to obsolescence. Bonus offer: Free eBook titled "25 Website 'Must Haves' For Driving Traffic, Leads & Sales"
Businesses requiring more ability to adapt to customer journeys with more speed and efficiency will benefit more from a growth-driven website design. As opposed to large, established brands with traditional websites, some companies require more agility in anticipating the customer journey and responding appropriately to fine-tune the website as you learn about how your ideal buyer engages with it over time. As a guide, if your business has fewer than 10,000 visitors each month, a growth-driven design is the better way to maximize your budget while optimizing for visitor needs. Growth-driven website design is based on analytics which provide learning that will help a business make changes quickly and easily as buyer behavior changes. This ability to respond quickly not only makes a website more relevant, but also makes budgets more manageable because it spreads costs over a period of time as opposed to a big up-front investment. And probably the best of all the benefits of a growth-driven website is that your site is never outdated because it’s based on user data, leading to better ROI. Of course, there are a minimum set of "messages" that a business, even a start-up company, must communicate online. So in some cases these messages can be delivered in one long streaming page or as logical separate pages. The point though, is to not overdue it when designing your first website. Be sure to use a Content Management System so it is easy to add pages and content quickly and be sure to create design templates that align with your brand and enable rapid development of pages and content. Working within the parameters of a growth-driven design can be unnerving for some who are used to website design that is typically a one-time project with relatively fixed costs. Having to meet ongoing needs of a growth-driven design can mean altering planning and budgeting exercises as well as employee needs to create or manage the process. Thinking of a website as a dynamic investment and not a standalone initiative urges businesses to consider their website as just one of their marketing assets. It is an important communication channel that can engage your buyer where they like to congregate online and is a tool that requires continual management and analysis. Which Website Design Method is Right for Your Business? So, which method of website design is best for your business? It can all come down to the “if it ain’t broke, don’t fix it” mindset, especially if you’re a well-established brand with no real shortage of leads and your business is growing at the rate you desire. However, most companies today know that it’s the customer who’s in control of the show and they’re telling us what to do and what they need from us. All we have to do is pay attention to their behavior through site analytics. If you do that, chances are very good that you’ll want an agile, responsive site that engages and communicates while growing as needed. If you are thinking about a new website, request a call with us to discuss your next project.